Two exciting cricketing nations in Ireland and Afghanistan take centre stage as they face off in a full length tour for the first time after securing Test status with the first T20I taking place on Thursday. While Ireland are in a transition phase with Paul Stirling still finding his feet as captain, Afghanistan walk into this series as the firm favourites with the Asian side ranked eighth in the rankings, nine places above the Irish. With the eye-pleasing Dehradun playing host to all of the matches on the tour, a competitive match is on the cards between two nations looking to make further inroads on the international stage. Asghar Afghan(C), Farid Malik, Hazratullah Zazai, Najeeb Tarakai, Najibullah Zadran, Usman Ghani, Mohammad Nabi, Samiullah Shinwari, Shafiqullah, Karim Janat, Mujeeb ur Rahman, Rashid Khan, Sayed Shirzad, Sharafuddin Ashraf, Zahir Khan, Zia-ur-Rehman. Kevin O'Brien, Paul Stirling(C), Shane Getkate, Simi Singh, Stuart Thompson, Andy Balbirnie, Lorcan Tucker, Stuart Poynter, Andy McBrine, Boyd Rankin, George Dockrell, Harry Tector, Joshua Little, Peter Chase. With a number of Afghan internationals being exposed to numerous T20 competitions in the world, they enter the series as the firm favourites. In Rashid Khan, Mujeeb ur Rahman and Mohammad Nabi, Afghanistan arguably has the best spin attack in the world with the likes of Karim Janat and Sayed Shirzad complementing them. The presence of Hazratullah Zazai at the top of the order would send shivers down the Irish men's spines and if he were to take off, it would surely mean curtains for Ireland. Possible XI: Zazai, Ghani, Shinwari, Asghar(C), Nabi, Najibullah, Shafiqullah(WK), Rashid, Mujeeb, Janat and Shirzad. Under the captaincy of Paul Stirling, Ireland won two out of their three games in the recently concluded Quadrangular series and have settled upon a side which has Kevin O'Brien playing as a specialist batsmen. With spin set to play a role in the match, Simi Singh and Dockrell will be key against the might of the Afghanistan batting. Joshua Little's pace has been impressive and he will be one to keep eye on. Rajiv Gandhi International Cricket Stadium, Dehradun, Uttarakhand. Wicket-keeper: Shafiqullah Shafiq is one of Afghanistan's best in the death overs and his hard hitting style is perfect for the T20 format, making him the ideal choice over Stuart Poynter. Batsmen: Paul Stirling and Hazratullah Zazai are must haves in the side with their attacking prowess sure to decide the fate of the match itself. Either of Andy Balbirnie or Shane Getkate would be a handy pick with both of them in good form over the last week or so in the Oman Quadrangular series. All-rounders: With a number of good all-rounders on offer, Mohammad Nabi and Kevin O'Brien are the ones that stand out. Both of them have ample experience behind them and would be perfect on a pitch that suits their skill-set. The likes of Simi Singh, Samiullah Shinwari or Karim Janat would be viable to complete the all-rounders' contingent for the contest. Bowlers: Rashid Khan and Mujeeb ur Rahman are amongst the best T20 bowlers in the world with a heap of wickets to their names over the last few months. Along with the two youngsters, two of Dockrell, Chase and Boyd Rankin would suffice in completing a well balanced side. Captain: Hazratullah Zazai's whirlwind starts at the top of the order are a trademark of his attacking intent and could well decide the fate of the match within the first six overs. Along with Zazai, Rashid Khan and Stirling are also great options to appoint as captain for the fantasy side. 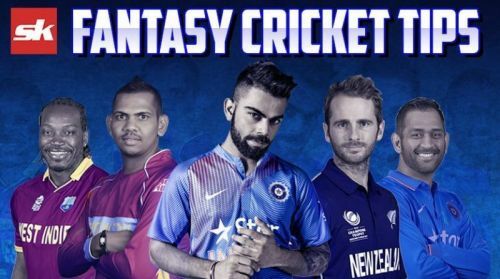 Fantasy Suggestion #1: Shafiqullah Shafiq (WK), Paul Stirling, Andy Balbirnie, Hazratullah Zazai, Mohammad Nabi, Samiullah Shinwari, Simi Singh, Rashid Khan, Mujeeb ur Rahman, Boyd Rankin and George Rankin. Captain: Hazratullah Zazai. Fantasy Suggestion #2: Shafiqullah Shafiq (WK), Hazratullah Zazai, Shane Getkate, Paul Stirling, Karim Janat, Kevin O'Brien, Mohammad Nabi, Rashid Khan, Mujeeb ur Rahman, Peter Chase and George Dockrell. Captain: Paul Stirling.